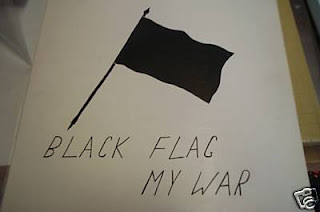 Lightning's Girl: Black Flag - My War : Bid Now! Check out this EBAY post. "Very rare punk rock record, but rarer for the original pen & ink Raymond Pettibon art on the front of the sleeve. " It started at 10k but he dropped the price.